Whether you’re fresh out of school and looking to start your career path or a little further down the track but need a change of scenery, it’s not always easy to know where to start. Setting your sights on a role in the work, health and safety industry is one thing, but do you actually know what your potential employers will be looking for once you start sending out CVs and turning up for interviews? Aside from the relevant qualifications, such as Certificate IV in Work Health and Safety (WHS) or better a Diploma of WHS, you’ll need to know what type of skills are most attractive to potential employers and how you can go about building on them as your career grows. 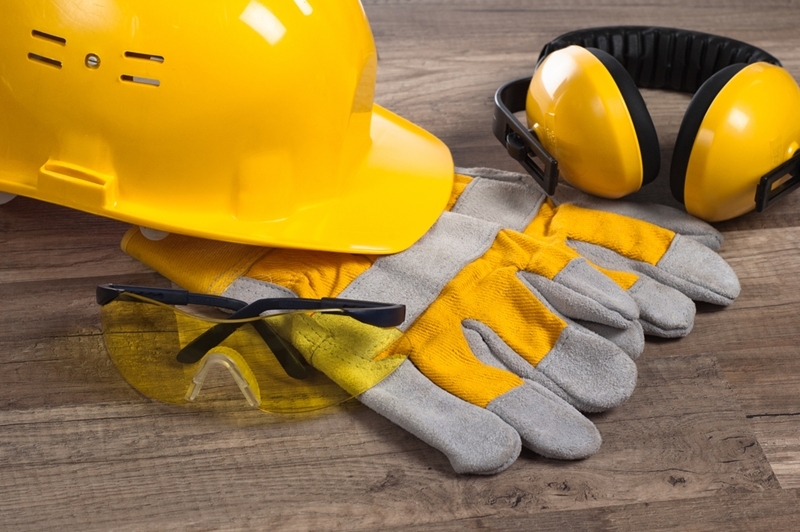 To give you a bit context and offer something to set your sights on, we’ve prepared the top four skills that you’ll need to develop to succeed in Australia’s growing health and safety industry. Communication skills – Be able to get your point across through multiple mediums, both in person and on digital platforms. Be patient – Getting everyone’s agreement on new processes or policies will take time. Grow relationships – Try to maintain genuine connections with all members of an organisation. Have an eye for detail – The more you notice, the bigger the difference you’ll make. For a health and safety strategy to be effective, it needs to be one that works to unite all employees under a common cause. In these cases, it would be up to you to as a health and safety officer to communicate the various goals and objectives to your colleagues. There are many dimensions to communicating well in the workplace. There are many dimensions to communicating well in any role in the workplace, but many of these take on an even greater importance if you’re responsible for keeping people safe. You need to be aware of how to make yourself heard and understood across the range of mediums used to communicate in modern business. From face-to-face meetings and presentations to emails and instructional booklets, it’s essential that you know how to get a message across both verbally and with the written word. Interestingly, Skills Australia found that a significant proportion of people around the country still struggle to communicate effectively in the workplace. This is where specific training courses and a concerted effort to improve skills can help you better ready yourself for a high-paying career in health and safety. While it’s often described as a virtue rather than a skill, this doesn’t make it any less applicable to the current health and safety landscape. As a health and safety officer, you’ll be in charge of communicating with a range of stakeholders, most of whom will have their own concerns or agendas that you’ll have to take on board. For example, the people on the factory floor are going to have different demands and motivations in comparison to managers and leaders. Working out these differences and coming to an agreement when rolling out new training regimes or policies will require you to have a combination of effective communication skills and a knack for being patient. It might take time to get things done, but staying patient and ensuring everyone is on board will have a positive effect on the business in the long-term. You can probably see a theme developing here. The four skills you need to succeed as a health and safety professional all build on one another. By increasing your proficiency in one of these five dimensions, you’re naturally getting closer to mastering another as well. Being able to build and maintain relationships with colleagues of all levels, whether superiors or peers, is dependant on your ability to communicate well and exhibit patience with difficult situations or discussions. As a health and safety officer, you’re an important conduit between management and the employees charged with getting work done. By having a good relationship with the higher-ups, you’re able to influence and provide feedback on any new initiatives they may be looking to roll out. If you’ve also built meaningful relationships with the rest of the staff, you’ll be a respected and trusted point of contact when they need to air any concerns they may have. You need much more than the right equipment to make a difference in health and safety. As a member of an organisation’s health and safety team, everything you do or don’t notice has an impact on the way the business functions and how people do their job. In this respect, it’s actually important to sweat the small stuff. Have an eye for detail, look for things throughout the factory, office or wherever you work that may need a bit of extra attention. Whether it’s a health and safety related task that’s impacting productivity, or a behaviour that isn’t minimising risk as well as it could, spotting it early is better than dealing with the consequences once it’s too late. Of course, these four skills are just a few to get you started thinking about what you might need to develop to make a difference in the industry. To learn more, and to ensure your abilities are recognised by future employers, contact the team at AlertForce and find out what our OHS training courses can do for your career development.